Old Donor Card schemes work like this: volunteers opt-in, and carry a Donor Card which elects that certain, or all, healthy body parts can be used in transplants shortly after they have died. This saves many lives. But many lives are lost because it requires active volunteering, and unfortunately many people don't know that they have to do the paperwork first1, and others want to help others but haven't bothered with the forms. There is a better system: donation by default or presumed consent, generally called "opt-out" schemes. This is where all organs can be routinely used to save lives, but where one can choose to carry an exemption card, popularly called a "Not a Donor Card". The main difference is that in opt-out schemes, more people are saved be default. Activists who are against organ donation can still exempt themselves by carrying a Not a Donor Card. This still allows the morally challenged to prevent their organs from helping others live. Of the five countries with the highest rates of organ donation (Spain, Portugal, Belgium, Croatia and The USA2), the top four all operate opt-out schemes. It is possible to argue even further: the benefits are so great to the living that the wishes of the dead should even be ignored: there shouldn't even be an option to exempt oneself from the organ donation scheme. Opposition has come from Jewish, Christian, Muslim and Shinto communities3 whose religious beliefs prevent them from helping others in this way. But as religion loses its power across much of the world, entire continents such as Europe have been moving towards opt-out schemes, where 24 countries have done so4. 71% support switching to an opt-out scheme in the UK according to a poll in 20135 and in 2013 Wales did indeed pass the laws required for a presumed consent system which came into effect in 20153 although other parts of the UK have not (yet). Over 3000 people received life-saving organ transplants1. 1000 more people died whilst waiting for an organ1. "Thousands" do not sign up to the lists because the chance of an organ becoming available is too low1. The International Registry in Organ Donation and Transplantation (IRODaT) publish annual statistics on organ donation, broken down by country. Typically, these types of statistics feed into the Social and Moral Development Index (SAMI), where each country gains points depending on its numerical comparison to other countries. However, statistics need some careful consideration before being made part of the SAMI formula. There are some confounding factors when it comes to answering the question Is Spain better than Portugal in terms of its rate of organ donors? The main question is that of supply and demand. If a country is very healthy and there are not many people waiting for organs, it is sensible to assume that fewer people will be incentivized to be an organ donor. Perhaps Italy has fewer donors than Malta, because Italians are healthier and need fewer transplants. How can the IRODAT numbers take into account and 'supply and demand' element? It might be wise to show statistics of organ donations per person on organ waiting lists rather than per million population. Unfortunately, comparing organ donors (supply) to waiting list numbers (demand) isn't easy. For example, in countries which manage these things poorly, it is easy to imagine that many people don't bother registering at all (this even happens even in the UK1, which has a well-developed national health system). That'll make some countries look better than they really are. To turn these figures into country-scorings isn't going to be useful without some extended analysis and number-crunching, but such an academic exercise hasn't yet been conducted (and may be difficult to reproduce each time IRODAT produces a new set of annual figures). At the moment there are massive shortages of many organs, resulting in the premature deaths, increased suffering, and needless loss of many human lives. Across Europe, as technology and medicine prolongs our lives, organ replacements are increasingly in demand, which is partly why most European countries already use opt-out schemes and why the British Medical Association recommends it too1 and other ethical campaigners such as the British Humanist Association argues for its adoptions12. In the UK, organ shortages are so severe that thousands die per year. The level of suffering that can be alleviated by donors does not balance well with the idea that by default organs are not used. They should be! In countries with opt-out schemes, organ donations are 25-35% higher6 and of the five countries with the highest rates of organ donation (Spain, Portugal, Belgium, Croatia and The USA2), the top four all operate opt-out schemes. The background colours represent if lives are potentially saved , or lost as a result. This chart makes it easy to see that the system that a nation chooses to employ makes no difference to those people who actively volunteer for organ donations schemes, and also makes no differences to those who actively refuse to comply. In both systems, these activists can get what they want. It only makes a difference to the large group of people who do not have an active stance. Viewed like this, it is hard to imagine what reasons there are against switching away from opt-in schemes. There are some ways in which presumed consent can backfire: It means that the deceased do not leave an actual record of their wishes. In "soft" systems where the family are asked what they'd to do, the lack of an opt-in record means that the family are more likely to feel that they have to come to a decision for the deceased. There is a very simple way around this: with presumed-consent systems, you can still run the same-old opt-in database. This section is taken from Approaching Death: Some Instincts of the Human Animal. Human and animal instincts towards death and dead bodies evolved so that species would avoid dangerous sources of disease, which dead bodies certainly are. As decomposing bodies also represent a pollution risk for drinking water, more advanced land-based species' instincts are often to find a secluded spot where both socialisation and drinking are unknown. In social species such as ours, this had led to specific religious prohibitions, social taboos and social customs all to do with sanctifying burial grounds. Also human instinct and the human want for remembrance, as a result of our powers of abstract thinking, compel us to provide ways for the dead to be acknowledged and for now-defunct emotional ties to be addressed. A memorial service or funeral of some kind is often valued for those who the deceased leave behind. 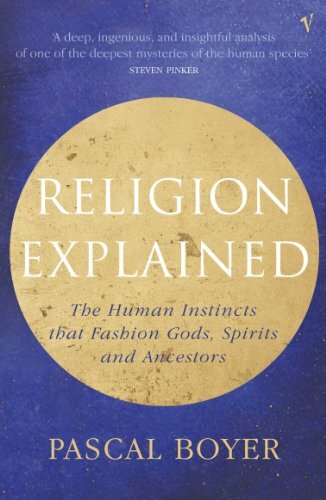 Prof. Zwi Werblowsky, a sociologist of religion, said "I think I can venture to locate the beginning of religion: it begins wherever human beings do more to a corpse than is strictly necessary for its disposal"14. This phenomenon is seemingly timeless. We have buried our dead at least since the Paleolithic era, and later early modern humans buried people alongside flowers, tools and other artefacts, making ritual and symbolism a feature of death15. In Egypt "by 3500 BCE architectural models were buried with the dead to provide solace in the afterlife. During late predynastic times (the Gerzean or Naqada II period, c. 3400 BCE) large, elaborately decorated and furnished tombs were built to house decease people of status"16. Some kind of final closure on someone's life is something we yearn for. It is not just a Human instinct; animals such as Elephants exhibit behaviours towards death that seem ritualistic, and according to the paleontologists Richard Leakey and Roger Lewin in "Origins Reconsidered: In Search of What Makes Us Human17", the Neanderthals (who became extinct 32 000 years ago) "occasionally buried their dead with a degree of ritual that we recognise as Human"18. Bodies were buried alongside tools and in symbolic bodily positions19. The funeral ritual instinct can take many forms and is not synonymous with a typical Western funeral. There are some people who have beliefs so outlandish that they consider some mystical rules regarding dead bodies to be more important than saving the lives of those who are still alive. Such questionable morals are, unfortunately, hard to overcome politically and so they will be entertained by any system of organ donation. In a world where morality overrode superstition, such people could not choose to let others die by preventing their organs from being reused but unfortunately, historical factors mean that religious superstitions are given an undue amount of attention by decision makers. When Wales adopted an opt-out (presumed consent) system in 2013, opposition came "from Christian churches as well as within Muslim and Jewish communities. Critics claim it will cause extra distress for bereaved families...", in particular, "members of the Muslim Council of Wales and the South Wales Jewish Representative Council have expressed reservations [as has] the archbishop of Wales, Barry Morgan"3, and elsewhere the Roma (gypsies) also object4. Fortunately most people embrace morality as the guiding principal and despite the actual protests, most Christian and Jewish denominations do actually formally support organ donation20 and they all know that they are doing the right thing by donating their organs, and therefore ending the distress of others. Religious objections are contradictory: I'm sure that if there was a morally-good god watching our actions, it would approve of moral behaviour, and therefore, there is no objection against organ donation (unless of course, God's concerns are not moral concerns - but who would want to worship such a God?). We will now examine some of the arguments against donation by default, and, I present counter-arguments for each one of them. There is no moral, social or rational reason why we should not use an opt-out scheme rather than an opt-in one. But in our opt-out system where people carry Not a Donor Cards, those who have strange beliefs concerning once-useful organs and what happens to them next, can opt out. People without such beliefs will otherwise have their organs used to alleviate suffering. Firstly, this objection implies that the living are allowed to make plans that, in the future, will deny life-saving aid to those who need it. What's more, this argument holds that such reservations over ones' own property can apply after death. It is strange to place property ownership over the right to life, and it is even stranger to assert such rights after you've died. In UK Tort Law, it would surely fall foul of duty of care law, if only such law was a little bit clearer. Secondly: In life, it is true that people withhold property at the expense of others. The world is free, and wealth accumulation is part of that. But upon death, the redistribution of organs does not in any way infringe on any living person, and helps those who are still alive. Therefore objections against presumed consent based on concepts of property and free will don't entirely make sense. The property objection was not a moral one to start with, and it is almost indecent when you consider its ramifications. Property, including corpses once they have no owner, are not more important than life. The freedom to choose to save lives. The freedom to choose not to save lives. To die is to lose all capability of choice and will; it is the loss of all freedom. To let someone die is to consciously deny them all freedom. If the promotion of freedom is an issue in the Organ Donation debates, then, we must always save lives in order to promote all freedoms, rather than allow people to choose to deny people freedom. One person's organs can save the lives of multiple other people and therefore protect far more freedoms than allowing people to opt-out. (2004, Ed.) Jealous Gods & Chosen People: The Mythology of the Middle East. Published by Oxford University Press. A hardback book.